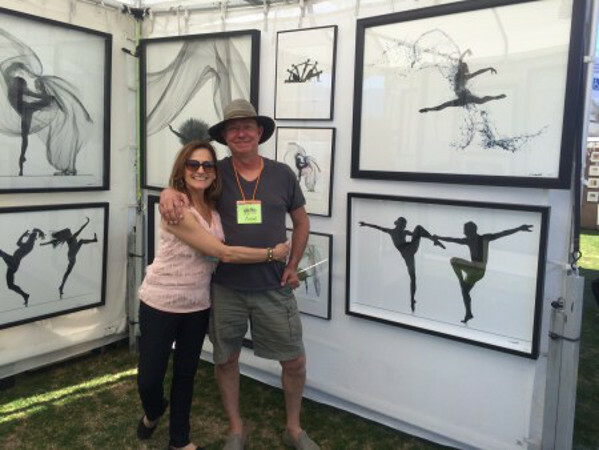 One of the things Richard and I love about traveling to art shows is meeting other artists. Our biooth neighbors in Indio were Erik Sauliltis and Georgia of Danceprints. They are from Minnesota and made a joking comment about the strange “pine trees” in Indio. Richard was inspired to write a quick poem about this. Are confounded by the strange Pine Trees in Indio. The mountains only chuckle hearing that. We will miss them when winter returns. Be sure to check out Erik’s lyrical dance photography at the Danceprints website.